I missed what must have been a great program on the National Geographic Channel. 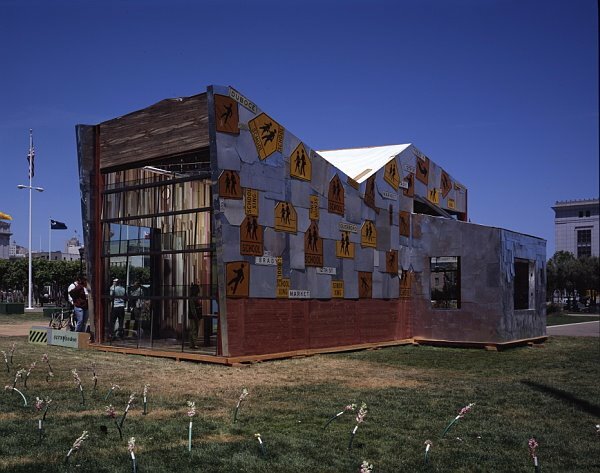 In a World Environment Day challenge, a group of SF architects, building officials and others were challenged to design and blitz-build a single-family house made of scrap. It was a lovely, Modernist piece. "It risked looking like a bunch of scrap nailed together," says Jensen. "But it ended up being wonderful. It really delighted people. You could see it on their faces when they came through."